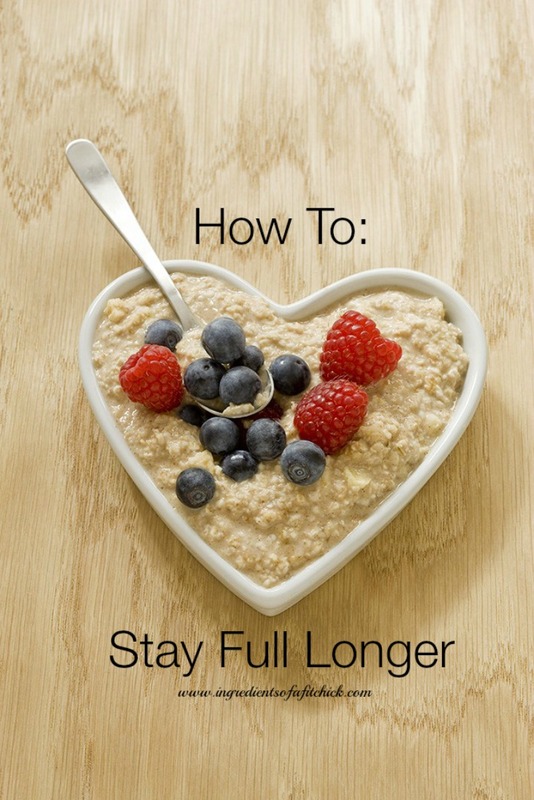 Tips To Keep Yourself Feeling Full Longer - Welcome to SarahKesseli.com! “In the summer, we tend to crave lighter foods and do not need as much to keep us satisfied. But the summer has come to an end and we are heading into the colder months. Our bodies are designed to want to increase their calorie intake so that we are prepared for ‘hibernation’ in the winter” Although, this ‘need’ to store extra calories in the winter is not necessary anymore; our bodies do not know the difference. You will find that your cravings are now for the heartier meals like pasta dishes, stews and root vegetables. All the delicious, warm comfort foods that come along with the colder months…..and with a larger waist line most times! Increase your consumption of leafy greens – you can have a large portion for minimal calories! Enjoy your food – taking time to savor each bite will make you feel more satiated automatically! Eat seasonal – fruits and veggies that are in season have a much stronger flavor than those that are out of season. They will naturally taste better! Incorporating some of these great ideas will not only benefit your health with all the added vitamins and minerals that you will be taking in, but it will also keep you energized and feeling your best!